When I first started drafting this post it was around two months since my daughter Eleanor was born. Yes, even now a few months on it still feels a bit odd to refer to the fact I have a daughter. But it’s true, I am a mum now. One of the biggest things over the past few months that I’ve ‘learnt’ (there’s been a lot) is how expectations and reality are two very different things. Both in a good and bad way at times. 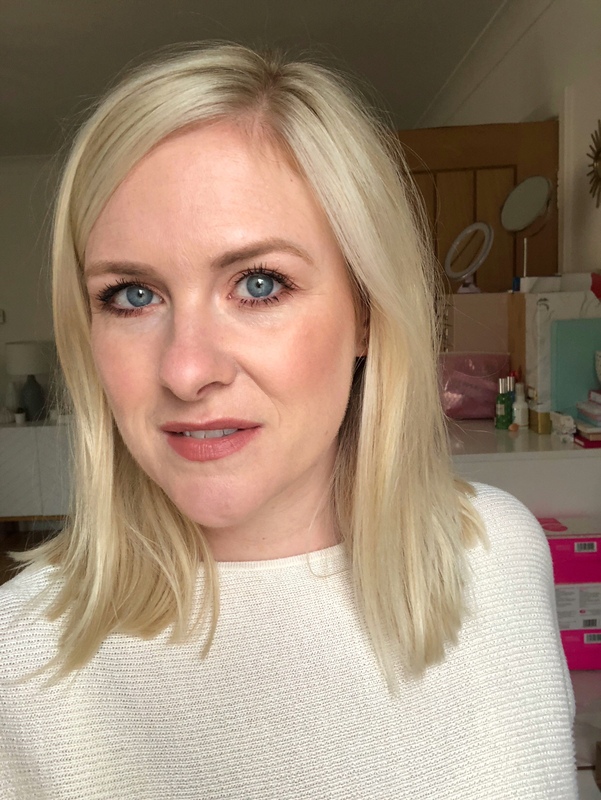 One of which that feels pretty appropriate to have a little chat about on the blog is the connection or relationship between being a new mum and beauty routines or makeup. I touched upon this on my new mum makeup post post but I wanted to expand on it a bit. Over the past couple of years I’ve felt like my ‘relationship’ with beauty has changed a lot. If you had asked me six months ago, or a year ago – I would probably have sort of shrugged and said I was feeling a bit over it. Not particularly excited about new launches. Sticking to my tried and trusted favourites rather than switching things around frequently. I felt a bit bored of it all and not really sure what my place in the beauty blog bubble was. I confused this a bit with being a bit fed up with blogging. But actually, if there’s anything the last few months have shown me is that it’s not the case. I am neither bored by beauty or blogging. If anything, the last couple of months have shown me just how much I love beauty and how big an impact it can have on how you feel. Honestly, if anyone tries to tell me the beauty industry is a shallow or fickle world… well, they would be right in some ways… but in others, not at all. Beauty (using this to encompass everything from makeup to skincare, hair and bodycare) can have a huge impact on how someone feels day to day and that is something special. I’ve never been the sort of girl to wear makeup every day in all honesty. It’s not bothered me to go out bare faced. I hope it never does as I don’t want to feel like I ‘have’ to wear makeup at all. I want to wear it because it makes me feel good in myself. In fact, that reminds me of a time a couple of weeks ago. I was sitting putting some makeup on and I could see Ella staring at me so I started chatting away to her ‘are you watching mummy put her makeup on’… then I found myself saying ‘one day you will be playing with makeup too’ but then followed with ‘but of course don’t feel you have to, you only wear makeup if it makes you happy and feel good. 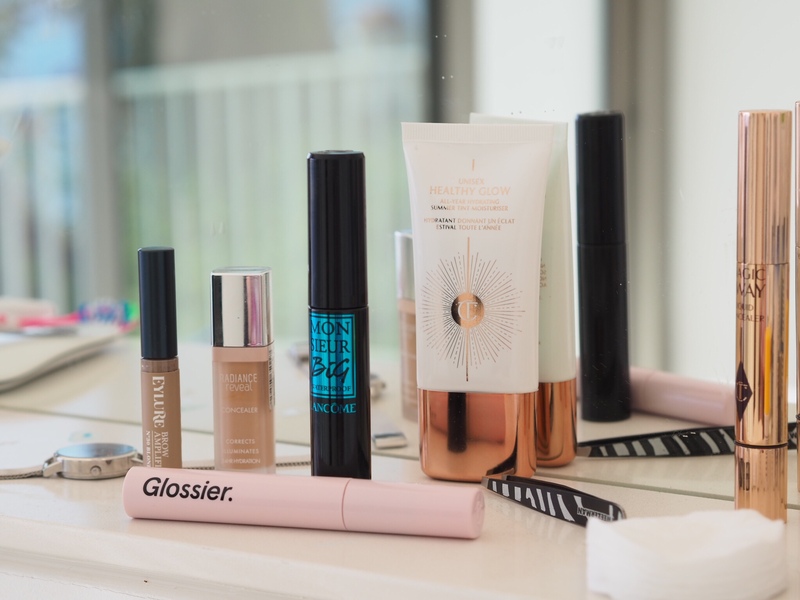 Don’t feel you have to wear makeup at all if you don’t want to.’ Teaching her those ‘you do you’ lessons from early on…’ But this isn’t so much about her to be honest, but more how my day to day usage and appreciation of beauty bits has really changed. I’ve found myself applying at least a small amount of makeup every day and feeling 10x better in myself for it. On the most minimal of days I might be wearing joggers, have my hair up but I’ll still reach for mascara, concealer and a brow tamer. 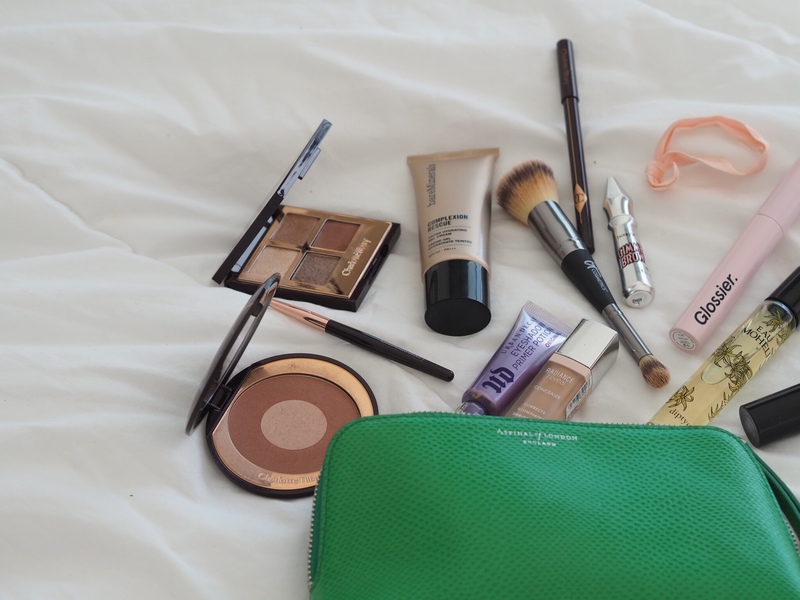 Not only have I been applying makeup more often, I’ve been re-discovering the joy of playing with makeup and ‘shopping my stash’ as the blogger cliche term goes. Also known and ‘using what I have in my excessive beauty collection’. It helps that not long after Ella was born I had a big beauty clear out and whittled down my stash to a more reasonable level. Still probably falls into the excessive category but more reasonable overall. I felt pretty ruthless and got rid of things I may very well have loved but knew they were too old and I needed to let them go. 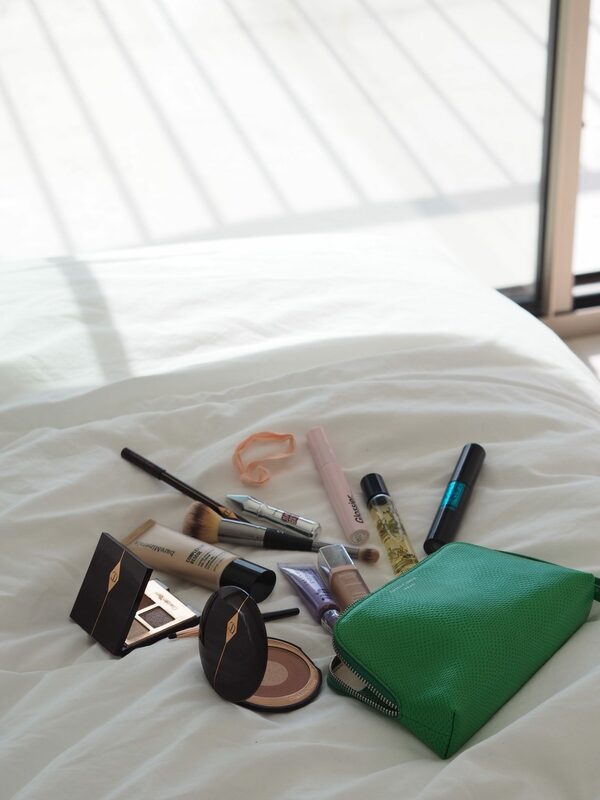 One of the ‘challenges’ I’ve felt over the past couple of years with blogging and beauty – and please don’t think I’m ungrateful for saying this – is the overwhelming amount of stuff I am sent. It’s amazing, and honestly in that moment when I open a new package of gorgeous product I am SO excited and appreciate being sent such amazing stuff. But with that comes an element of pressure to try and cover as much as you can and blog it and in all honesty, with the best intentions in the world I can still only manage to scratch the surface of covering everything. Which brings that feeling of overwhelm and guilt. I feel guilty for being sent these lovely things and not always delivering what is ‘expected’ of me. Then the samples build up and I can’t manage to keep on top of storing them let alone testing them. I put pressure on myself to always test something pretty thoroughly as I don’t personally feel satisfied with just taking pretty pictures and blogging. If I’m recommending something or sharing my thoughts on it I want to be clear I’ve tried it and not just going ‘ooh this is pretty’. However, what I’m realising is that whilst I know I still love beauty and LOVE being sent new things to try. I’m also not superwoman, I have a young baby to look after, my time is newly limited and I can’t try it all. So going forward, with this new relationship with beauty my aim is to still try new things and embrace the things I’m excited about but also I want to ‘shop my stash’ more and share some posts on this too. So it might be a bit more of a mix of seeing the same products pop up frequently (which FYI means they’re really good) along with some new-in updates. I mentioned how wearing makeup more often is a change for me too. I’m trying to just make the most of the days I wear it and snap before and after application photos so I can talk about what I’m using regularly or what I’m testing on the blog without it being a bit task to get made up especially and taking photos. I want my blog and newly focussed Instagram content to always be ‘real’ – what am I REALLY using regularly not just as one-offs or what I’m really excited about. I guess what I’m trying to say is what you can expect from me as readers going forward. I am aiming for three posts a week. Usually this will be (roughly, this isn’t set in stone) one beauty post which will be a product or collection review, one ‘edit’ or ramble about a few products I’m using or a look or a series of problem solvers then one ‘other’ type of post which might be around family, personal, home or travel. Depending on what I feel like! As for brands and what they can expect from me. Well, that’s a tricky one as I’ve never been able to promise I’ll blog everything as much as there is a feeling of pressure to do so. It’s a tricky one as sometimes it’s all too easy to measure your own ‘worth’ or ‘success’ as a blogger agains which brands you’re ‘on the list’ for or have relationships with. I’m aiming to really focus on the brands I love and make them a priority for what I cover on the blog. But at the same time, that’s definitely not to say it’s a case of ‘if you’re not on the list, you’re not coming in’. I am ALWAYS open to hearing from new brands, hearing about new launches and generally keeping up with all things beauty. I just have to be realistic and say that a sample is never going to be the ticket to coverage with the blog. My time is limited and I need to be a bit more ruthless than I’ve been before about what I can get done and what I can cover. Overall, I am loving this new found appreciation and love of all things beauty again. Massive shoutout to the combination of v.good lighting and very minimal makeup here. – – – Been wearing the @ctilburymakeup Healthy Glow (it’s amazing & frankly I’m annoyed at myself for not discovering for myself earlier in the summer), @glossier lash slick, a smidge of @bourjois_uk radiance concealer under eyes & some @eylureofficial brow amplifier & @drunkelephant lippe lip balm. 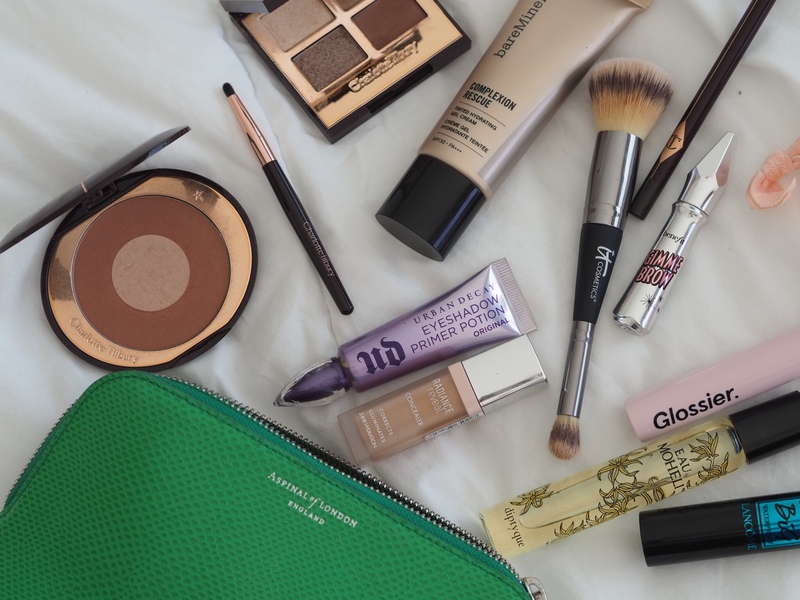 – – – Ultimate current no makeup makeup combination 👍 Any recs for minimal makeup style beauty products?